Hi Friends!! Time for another Stop, Swap, and Roll post!! 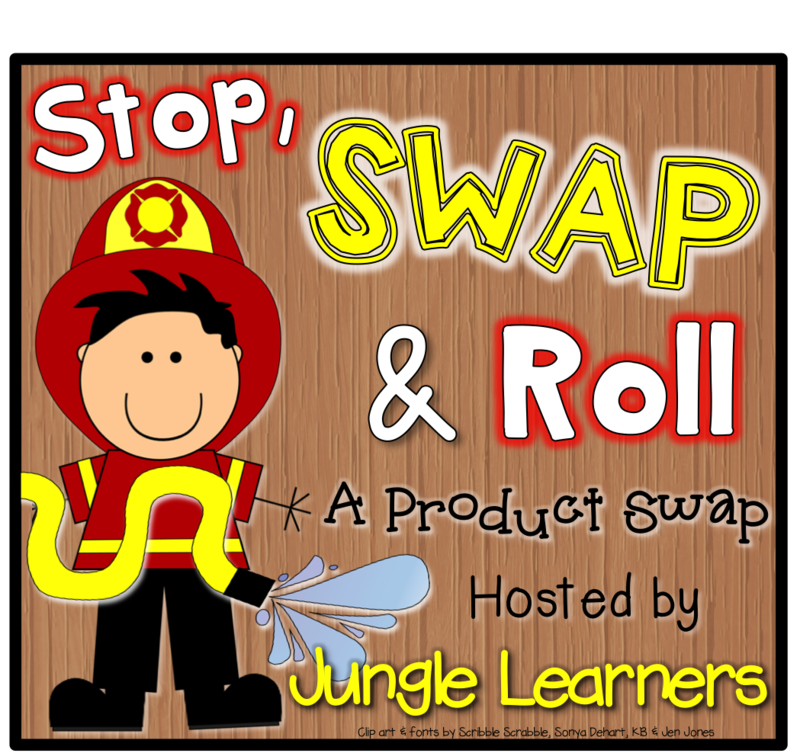 I was thrilled to see that Melissa over at Jungle Learners was hosting another Stop, Swap, and Roll Product Swap! Melissa must be incredibly organized because she does a fantastic job of organizing this swap! I participated in the swap back in January and had a great time getting to know another blogger and use one of their products! For this swap I was paired with Lawren over at Teaching is a Royal Adventure! I was already following Lawren on Instagram so I was super excited to be paired up with her! She seems like the sweetest person and you can tell she really has a passion for teaching. When I found out I was paired up with Lawren, I immediately went to her store to check out her products! She has some AMAZING products in her store!! It was such a tough decision, but I decided I wanted to try her Zoo Animals Non-Fiction Passages. I thought this looked perfect to use with a guided reading group! 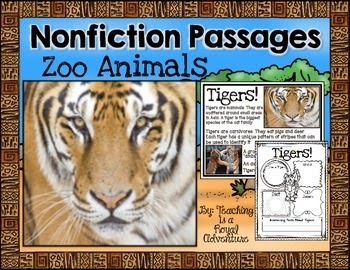 Lawren has TONS of different animal passages featured in this product and the passages are filled with lots of interesting facts about the animals. She has included non-fiction reading passages for: lions, giraffes, zebras, monkeys, cheetahs, tigers, elephants, rhinos, kangaroos, snakes, tree frogs, bears, alligators, peacocks, flamingos, and tortoises. Each passage has a recording page for students to record a drawing of the animal, the animal's habitat, the animal's diet, the animal's babies, and an interesting fact about the animal. Also included within this product is a world map that shows where the animals live, a student book, and an animal covering activity. The passages had a lot of great information about each animal! The recording sheets really helped students show their understanding. Each animal passage includes photographs of the animal. I had my students record a question they were wondering about kangaroos before reading the kangaroo passage. I was so impressed with their work! My students LOVED the map that is included in this product! We had previously learned about the continents during our maps and globes unit so this was perfect for them to see where the different animals live. I am sure you are thinking, you would like to try this with your students, right?!?! Well...it's your lucky day because all you have to do is enter the Rafflecopter below for your chance to WIN a copy of her product! 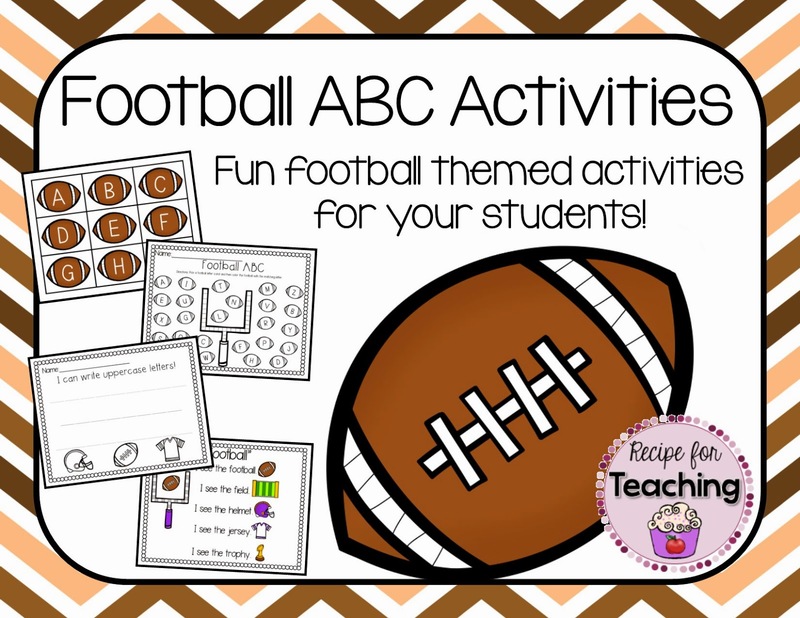 Be sure to check out Lawren's blog to see how she used my Football ABC Activities! I'm also putting it 20% off in my TpT store April 25-April 28! Check out the other bloggers in the swap for your chance to win some great products! !